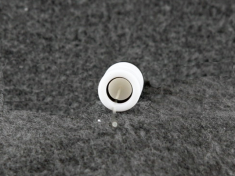 SPECIAL SHIPPING DETAILS: Please note that reference electrodes always ship separately. 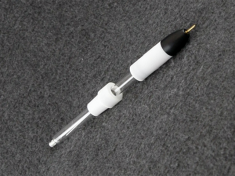 Special shipping arrangements may be required to process your order if you purchase a reference electrode. 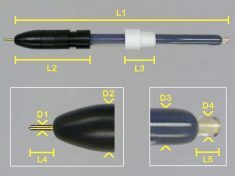 See individual reference electrode pages for more details. HAZARDOUS MATERIALS: Additional fees may be applied to cover the costs of shipping reference electrodes with hazardous materials. 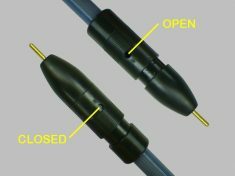 Not all reference electrodes may be available for sale in all countries. 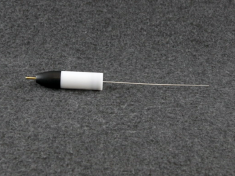 See individual reference electrode pages for more details. 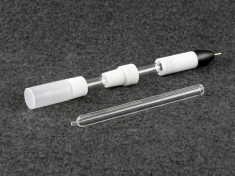 All reference electrodes fit through the standard 14/20 ground glass joints found on our standard electrochemical cells. 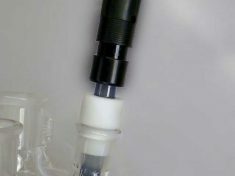 A PTFE sleeve (included) facilitates mounting the reference electrode in the joint. 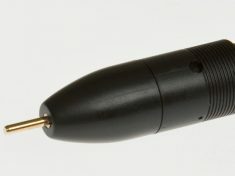 The junction at the lower end of most reference electrodes is a ceramic frit that should be kept wet at all times. 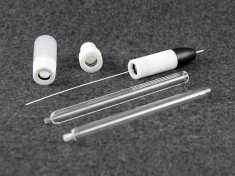 The non-aqueous reference electrode comes with two glass tubes: one with a ceramic frit and one that terminates in a 2 mm ID open hole. 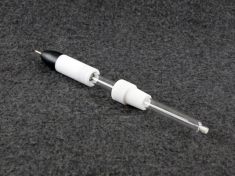 For the Hg/HgO reference electrode, the frit is made of polyethylene, which has a higher leak rate than ceramic or porous glass. If frit dries out, soak overnight in distilled water. 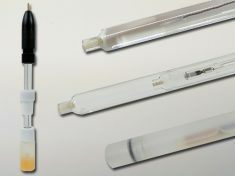 A small vial containing electrode filling solution is included with some reference electrodes. 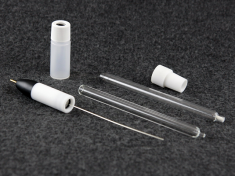 Please note that some reference electrodes are shipped dry and must be filled with electrolyte prior to initial use. 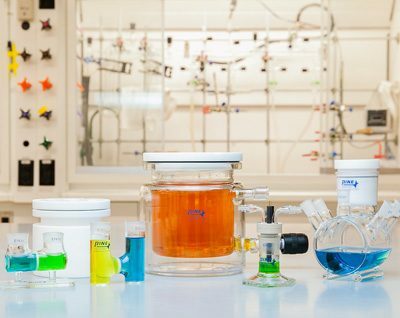 View SDS Forms for reference electrodes and electrolyte filling solutions.